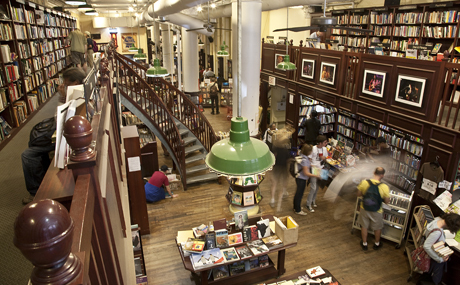 Our favorite spots for city-wide book readings. An independent, volunteer-powered Lower East Side bookstore, cafe, and activist center with an incredible selection of radical, progressive, and intersectional books. They carry over 6,000 titles, covering topics like feminism, queer and gender studies, global capitalism, climate & environment, political theory, race studies, and so much more. They diligently update their event calendar on their website, so you can see on which days they host poetry readings, workshops, skillshares, and more! 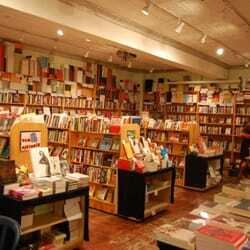 Conveniently located in the heart of Nolita, McNally Jackson is one of the city’s most loved independent bookstores. It hosts an extensive collection of books, magazines, documents, artifacts, and art that isn’t overwhelming. Book signings, readings, and labs are regular. 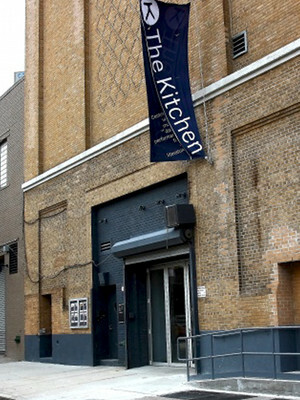 The Kitchen is one of the city’s oldest nonprofit spaces for both emerging and established artists to showcase their various disciplines. It was originally founded as an artist’s collective that launched the careers of artists that defined the American avant-garde: Robert Mapplethorpe, Vito Acconci, Cindy Sherman, and Kiki Smith, to name a few. Their program of events ranges from dance and music performances to experimental video art to literary events and lecture series. The Kitchen prides itself on the high caliber of art presented as well as its all-encompassing, inviting environment for artists to thrive in. Housing Works is a little oasis on Crosby street, away from from chaotic streets of Soho. It’s an unassuming bookstore with everything from new arrivals to bargain classics. They have events daily and nightly for people spanning all ages and industries. Unique examples include: literary speed dating, costume contests accompanied with dinner parties, and female empowerment talks.